At Our Savior’s, as Jesus did, we welcome children of all ages as integral members of the body of Christ, and we welcome the sounds and activities that accompany them! 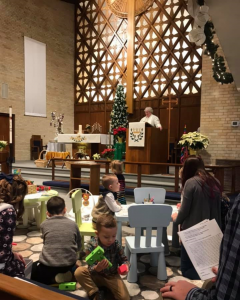 There are a number of spaces and activities designed for children to experience and participate in worship according to their needs; we trust families to work out the best option(s) for them and their child(ren) on any given day. One of these options is the Prayground. It is located in the front-left section of the sanctuary. This area is designed specifically for young children and their families. It consists of a soft rug, two small tables with child-sized chairs and stools, coloring sheets, crayons, blocks, books, and soft toys. There is also a bouncy seat (for smaller infants) and a Bumbo chair (for babies who can hold their heads up but can’t yet sit up on their own.) 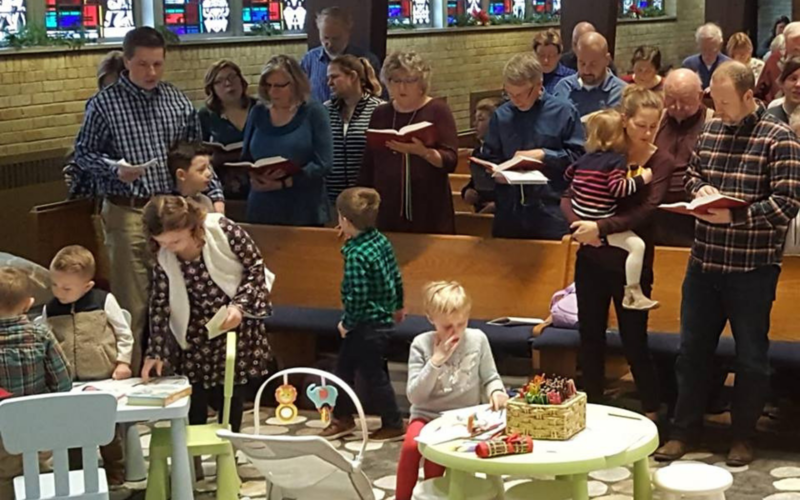 Rocking chairs and a Boppy pillow are also available for your use during worship. We also have “quiet bags” with activities for kids located towards the back of the Sanctuary. 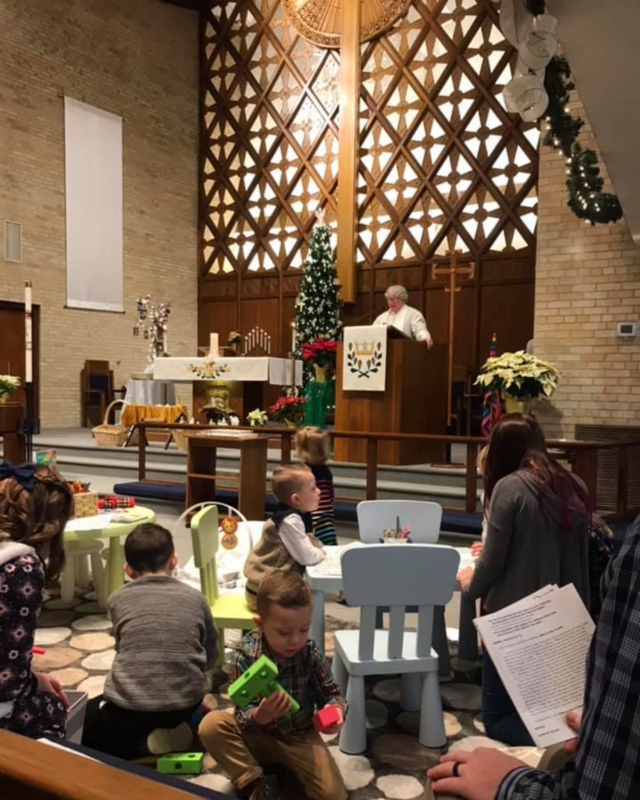 These Busy Bags contain books, crayons, stuffed animals, and other things to keep little hands occupied in the pews. Scribble Pages are also located in the pew racks. Please take any masterpieces home with you to display! Near the Busy Bags, there is a small rug, table and chairs, blocks and a wooden activity cube. Children’s bulletins are also available. There are two versions, one for pre-readers & one for early readers. They are based on the day’s Scripture texts. They can be used in church and at home as a great teaching tool. Feel free to take one for any child or grandchild in your life. 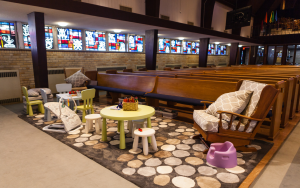 The narthex at the back of the worship area is a great place to take children who need to leave their pew, while still being connected to worship with good audio and sight lines. If your little one simply needs a break, we also have a nursery available on the lower level. You are welcome to use it. Currently we do not have a designated nursery helper, but it is there for parent/guardian usage, with a speaker airing the service.